Cambodia has the advantage of being free from earthquake, flood, and typhoon, but was ravaged by neighboring countries such as Vietnam and Thailand in history. In addition, Cambodia suffered from one of the most notorious civil wars for 20 years and the famine caused by it. Not until 1998, Cambodia was finally able to recover. 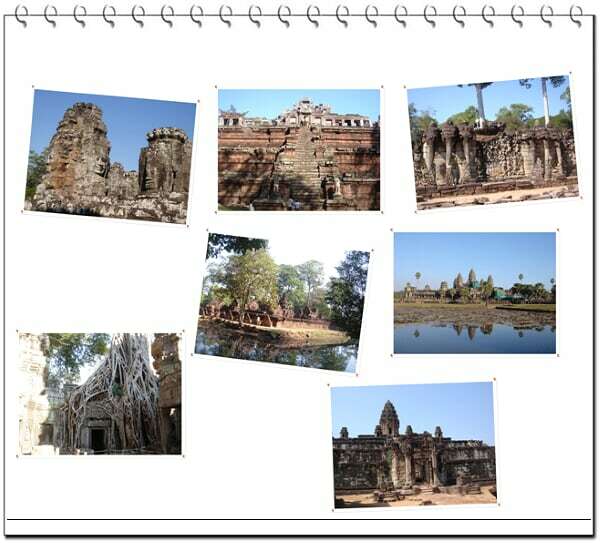 Angkor Kingdom spanned through 9th century to early 15th century and was the most flourish period of Cambodian history. The world-famous Angkor reservation in Siem Reap contains the temples built in the time of Angkor Kingdom; these temples became dormant in the forests as Angkor Kingdom deteriorated, until they were discovered by French naturalist Henry Mouhot in 1860 and recorded as World Heritage in 1992. Although Henry Mouhot claimed to be the first to discover the remains of Angkor civilization, Cambodians have been aware of its existence all the time. However, several reasons that Angkor reservation remained discreet: First, the temples and palaces in Angkor were solely served as worship sites for kings and nobles; the commoner were asked to retain a distance from those. Thus, the civilians rumored urban legends about the evil spirits in forests that surrounded the remains of Angkorian civilization, warning their descendants not to enter the sites or beasts and bad luck would fall upon them. Yuan Dynasty Chinese ambassador, Zhou Daguan (周達觀), was sent to Cambodia (known as “Zhen La” that time) in year 1296. He stayed in Cambodia for more than a year. When he came back to China, he wrote “Zhen La Feng Tu Ji” (真臘風土記), which was consisted of 8,500 words depicting the Angkorian culture and the path to Angkor kingdom. Due to the weather and unstable politics, the records of Angkor kingdom was mostly lost, thus Zhou Daguan’s book served as a valuable reference for finding and reconstructing the Angkorian civilization. Haha, yes, some of the photos were not as good as I wanted them to be, because some parts were covered for renovation, and some scaffolds were built on them.